So, the Sauvignon Blanc conference. Two and a half days focusing on this grape, which New Zealand has made its own. Talks and tastings; dinners and parties. And welcoming Blenheim (above), shy at first, but then opening up to receive a few hundred guests and locals. Two establishments in particular deserve mention: Ritual, for its morning eggs and coffee; and Scotch, a lovely wine bar with excellent chips, too. 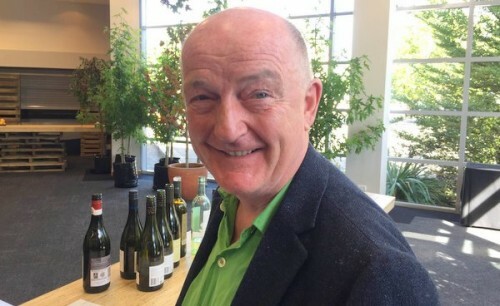 One of the highlights of the conference was a speech by Oz Clarke, the well known British wine writer, who was one of my heroes when I first discovered wine in the early 1990s. He began with an amazing paean to Sauvignon. It captures beautifully the impact that Marlborough Sauvignon Blanc made on the world of wine when it first arrived in the 1980s. I agree with Oz: the world of wine has never been the same again. I know when I first discovered that Sauvignon Blanc has a sense of place. It was on February 1st 1989 at 11 in the morning. On the 17th floor of New Zealand House in London. Just inside the door on the left. Third wine along. That’s the first time I tasted a Sauvignon Blanc from Marlborough in New Zealand’s South Island. That’s when Montana 1983 Sauvignon was introducing itself to the world. My world of wine would never be the same again. There had never before been a wine that crackled and spit its flavours at you from the glass. A wine that took the whole concept of green – and expanded it, stretched it and pummelled it and gloriously re-interpreted it in a riot of gooseberry and lime zest, green apples, green pepper sliced through with an ice cold knife of steel, piles of green grass, the leaves from a blackcurrant bush, and, just in case this was all too much to take – a friendly dash of honey and the chaste kiss of a peach. And did that taste of somewhere? It sure did. It tasted of somewhere no one knew. It tasted of a somewhere that hadn’t existed before – ever. It tasted of a whole new world of wine that was going to be full of somewhere that had never existed before. It tasted of a whole new world of wine which would no longer make you wait a generation to be taken seriously as a winemaker – a whole new world of wine that would allow you to take your very first brave efforts as a winemaker – plonk them down on the table and cry – beat that, old timers. I, too, remember my first experience of Marlborough Sauvignon. It was a bit later – in 1992 – and it was also with Montana, although I can’t remember the vintage. I was playing back garden cricket with some chums in Wallington, and someone had brought a couple of bottles of this wine along, which we drank between overs, keeping it safe behind the stumps, on a warm summer evening. Oz describes the flavour impact much better than I ever could, but what was amazing was its intensity, its vitality, and its accessibility. This was something you could get as a novice drinker – even if you’d never read a wine publication or gone to a wine tasting. A remarkable riot of flavour that I would never forget. That’s Sauvignon for you. It’s often derided in the wine trade – an unsophisticated taste – but I love it. Montana was my first experience too!! Yes SB’s gave really found a home in Marlbourough. Delicious examples from Summerhouse, Rapaura Springs, Seresin, and the like. 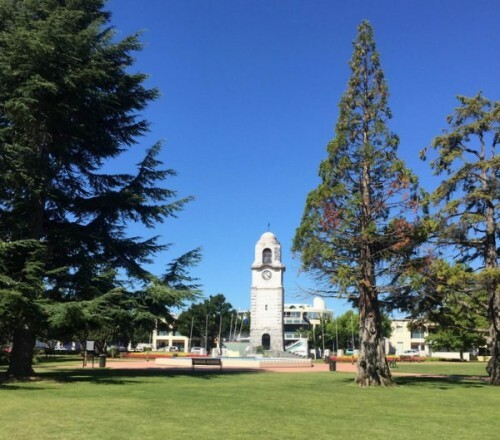 We are lucky in Oz that our Kiwi cousins are so close and accessible.